The $55 bln fund manager hired Andrew Formica as its new boss after a year of client departures and near 50 pct stock fall. It doesn’t help that it depends on fickle retail investors, in Brexit-torn Britain. Finding more institutional clients is a priority, but will take time. 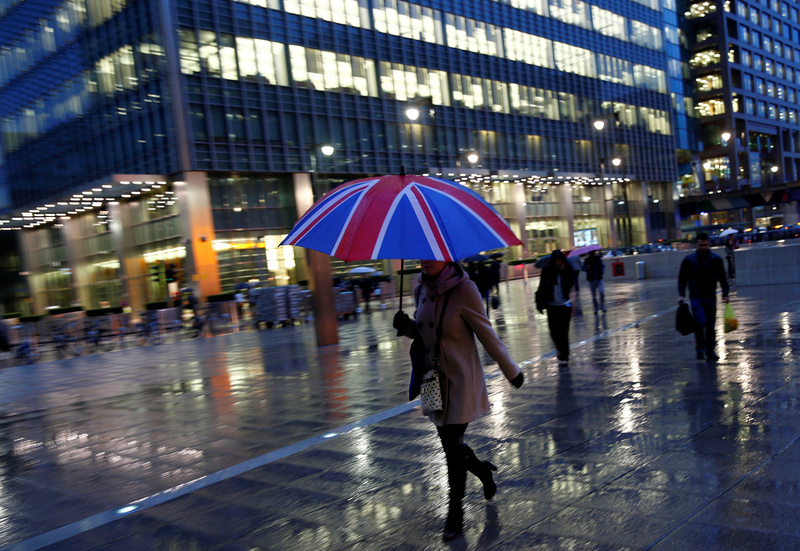 Workers walk in the rain at the Canary Wharf business district in London, Britain November 11, 2013. Jupiter Fund Management on Jan. 22 named Andrew Formica as its new chief executive. Jupiter said its board had identified Formica as a potential successor to current CEO Maarten Slendebroek as part of its “long-running corporate leadership planning”. Slendebroek will stay at the British fund manager until May 1. Formica was previously chief executive of Henderson Group and later Co-chief executive of Janus Henderson Group after its merger with Janus Capital in 2017, but left the firm last year. Shares in Jupiter were up 0.55 percent at 328.5 pence by 0842GMT on Jan. 22.